As the Grand Rapids area's population continues to grow faster than anywhere else in the state, construction companies and workers are some of the biggest players helping to mold the city's quickly changing landscape. In this new series from Rapid Growth, we take a closer look at the region's construction industry and the numerous organizations, trends and innovations seeking to create positive advances in our community. All of that is to say: the last decade has witnessed the kind of growth that routinely has Grand Rapids being named as one of the best places to live, raise a family, eat, and, of course, drink beer. The number of new hotels, restaurants, shops, and housing is growing at an ever-expanding rate to accommodate these massive changes. 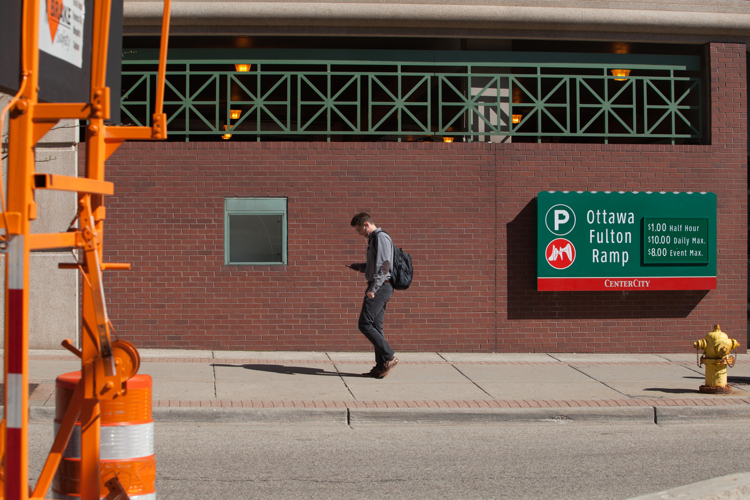 To be sure, the need for these locales is there and is, in large part, driven by people trading the suburbs for apartments and condos in the heart of the city, as well as homes throughout Grand Rapids’ neighborhoods. This shift has led to Grand Rapids boasting one of the strongest economies in Michigan, with the city being of the few places in the state to see its property values increase over values from just before the 2008 economic crisis. 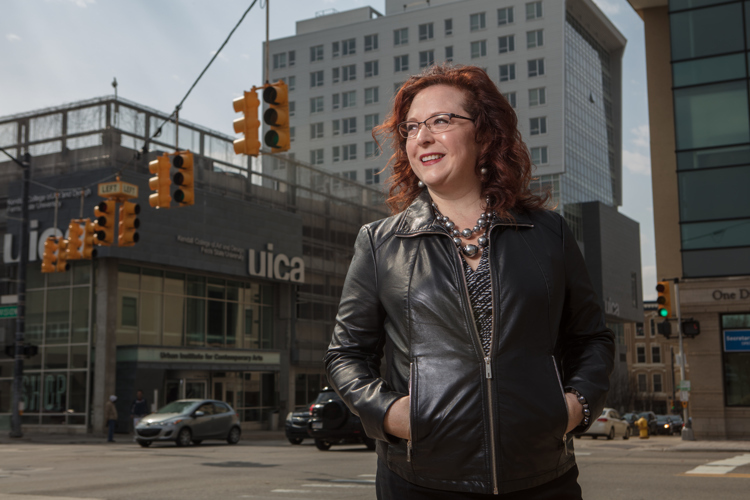 With the kind of growth that Grand Rapids is experiencing comes major success stories—as well as big questions centered around everything from affordability and sustainability to inclusion and diversity. What does building the future of Grand Rapids look like? Who are the construction workers, and what are the technologies, behind these new buildings? How do we make sure all of this new development creates a city that can support people of all socioeconomic backgrounds, from those who can afford the downtown condos with bird’s eye views of the city to those who are currently struggling to support a family and are worried about being priced out of their neighborhoods? What does it mean to construct a city that sets an example for people around the country—and globe? These are huge, sweeping questions that don’t always have answers, but they are ones that the construction industry is acutely aware of, and which they are constantly evolving to address. Construction companies in Grand Rapids, and throughout West Michigan, are more technologically advanced, greener and diverse than ever before—and they’re making concerted efforts to become even more so. When you think of "construction," what comes to mind? You may have an image of people in hard hats with hammers in hand. Or perhaps your vision includes scaffolds surrounding unfinished buildings with teams of construction workers in orange vests climbing nimbly about the lattice of steel frames. You'll be happy to know that while hard hats are still a hallmark of the job and hammers are still being used, today's construction is a drastically different world from the past. Technology is playing a starring role, for example, and new notions about what cities should be are driving companies and workers to rethink the way they do business, including by focusing on spaces that include both residential and commercial spaces in busy urban corridors. The world of construction has undergone dramatic changes over the years. 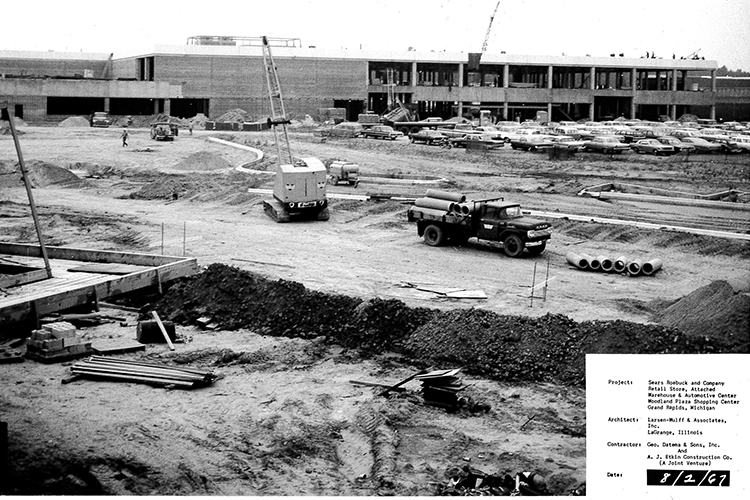 Here, Sears and Roebuck is under construction in 1967. As the needs have evolved, so has the construction industry been altered to respond to the trends and outside forces that impact business. Businesses involved in the construction trades in Kent County have adapted to overcome barriers and respond to market trends. They have had to adapt to a new landscape while fostering growth and opportunity. 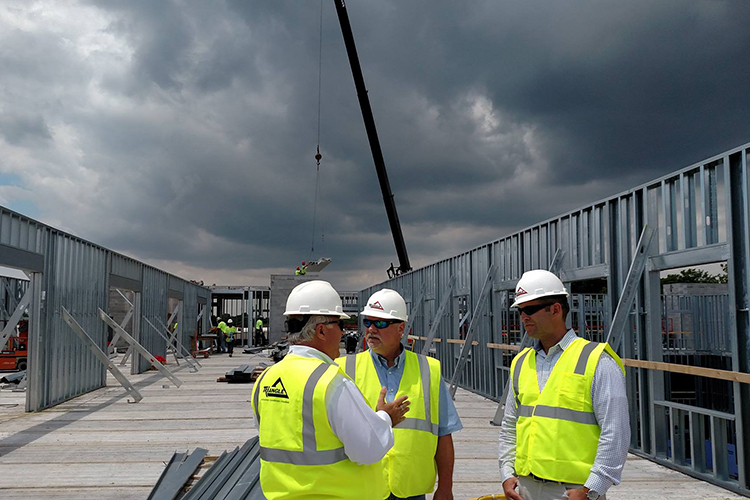 At a point in the past, numerous construction companies collaborated to create large scale building projects intent upon meeting the business needs of a single client. These large scale projects occupied considerable time and consumed many resources, sometimes yielding buildings that suffered from a lack of versatility despite being very well constructed. In today's context, this is often no longer be the case. New construction is focusing on the rebuilding and repurposing of existing buildings, as well as the construction of new buildings employing multi-use designs and functionality. Also, services are being delivered by a single entity rather than by multiple companies. This is a newer trend known in the trades as "design-build." Trends that are driving the construction field include the increasing need for apartments and condos, in addition to senior living designs, long-term care facilities and the latest in healthcare construction. 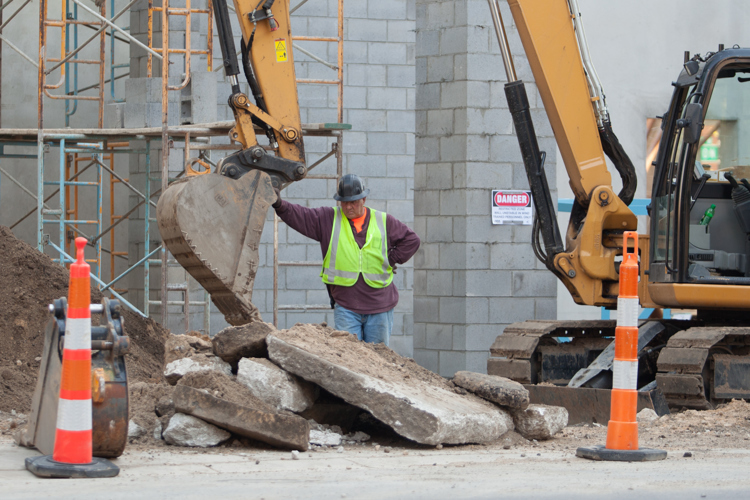 We can see the effect the healthcare industry has had on the construction trades by looking at the city’s "Medical Mile,” which occupies much of the Michigan Avenue corridor around Spectrum Health. This has meant a host of new construction, including medical classrooms, laboratories and student housing. Additionally, as more families move into Grand Rapids and the surrounding area, educational space is playing a major role in construction. 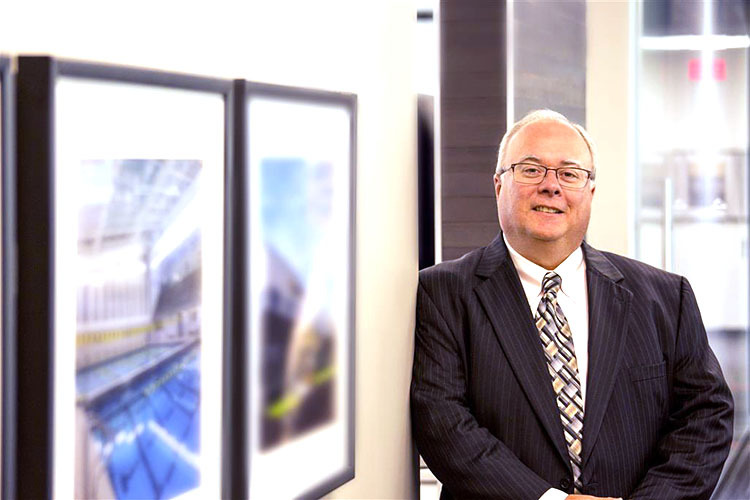 "The trends seem to be new construction for education,” says Paul Lemley, the senior vice president of national accounts at Triangle Associates, a 99-year-old construction company that is based in Grand Rapids and performs work across the country. Lemley, who has worked in nearly every state in the U.S. and on five continents, has long focused on environmentally-friendly and sustainable projects and has an expertise in projects for manufacturing, laboratories, offices, and education. As Grand Rapids Public Schools [GRPS] expands under its district transformation plan, the construction industry has become an instrumental partner as GRPS opens new schools for future generations, including the CA Frost Environmental Science Academy. Triangle worked closely with GRPS to transform Covell Elementary school into the new academy that serves students in pre-K through 12th grade. The $7.7 million project is emblematic of the kind of innovative educational work that construction companies are engaging in across the city, state and country, and included the addition of environmental science labs, a robotics room, new classrooms, offices, an outdoor classroom, a nature trail, and more. In addition to education being a driving force in construction, Lemley notes a major construction trend is the emergence of boutique retail. Everyone from national retailers to locally-owned locales are looking to the Grand Rapids market as an ideal location to pilot boutique stores, Lemley says. Other construction experts echo similar sentiments, with, for example, Colliers International’s recent Economic and Commercial Real Estate Forecast Event highlighting the fact that shoppers are making conscious decisions to support local businesses. As experts explain, this has created a big shift in the regional, and national, economy, with individuals seeking out those smaller, locally-owned boutique shops (and, of course, the internet) and forgoing larger department stores—leading to, for example, Sears exiting Woodland Mall and the resurgence of downtown retail activity. And then there’s the field that’s driving so much of Grand Rapids’ economy: industrial. “Industrial is way up and booming,” Lemley says. The 2017 forecast report produced by Colliers International also reports the area’s industrial economy is flourishing, with Colliers writing that it anticipates the market will have an increase in construction for speculative industrial space in 2017. Additionally, the construction field is a close partner with the city’s growing manufacturing sector—a resilient backbone of the greater Grand Rapids area. Paul Lemley on a job site. Between 2000 and 2010, Grand Rapids lost nearly 40 percent of its manufacturing workforce, which translated to about 100,000 jobs. However, the manufacturing workforce has rebounded by more than 50,000 jobs since 2009, a growth rate of 34 percent, according to the local economic development organization The Right Place. As is the case throughout much of Grand Rapids, space for industry is limited, which means construction companies are having to get creative. “Industrial market vacancy is at approximately 5 percent, which is fueling creativity in non-listed properties and build-to-suit projects,” Colliers writes. Thousands of people have been moving into to the Grand Rapids area each year as of late (Kent County’s population increased by 6,144 people from 2014 to 2015, more than any other region in the state), and the Grand Rapids Metropolitan Statistical Area’s population skyrocketed from about 600,000 in 1970 to 1.038 million in 2015, according to the U.S. Census. To accommodate this influx, the construction industry has been building everything from Linc Up’s affordable housing units in Madison Square, to Orion Construction’s $45 million Arena Place, which repurposes an old downtown parking lot for an 11-story mixed-use project across from the Van Andel Arena, to Triangle Associate’s The Rowe, a $24 million project that transformed the 1923 Rowe Hotel into retail and residential units. In other words, construction must partner with the concepts that are driving sustainable urban growth today: combining residential and retail in highly walkable and bikeable areas that are easily connected to public transportation. Following close behind the housing boom in the city has been the demand for display and convention space. That has meant new hotels and convention facilities—something which is expected to continue. Experience Grand Rapids announced in January that 2016 was another record-breaking year for the area’s hotel room revenue. The hotel business increased by 8.7 percent from 2015 to 2016, exceeding growth for Michigan’s 4.8 percent hotel room revenue jump and the 6.8 percent in the entire United States. As such major events as the Grand Rapids Comic Con and national sports competitions, and everything in between, continue to grow in popularity, the construction field will likely be continuing to add hotel rooms to visitors clamoring to get into Grand Rapids. Attracting and retaining talent is one of the challenges for the modern construction industry. The boom in construction has created a demand for skilled construction workers. While this represents a positive sign, it also points at the shortage in the pool of qualified candidates. To fill this talent gap, companies are focusing on attracting and retaining workers in the skilled construction trades. Companies are also making an effort to attract workers in the skilled construction trades from areas around Grand Rapids. This reach may also extend to the state or to neighboring states. Either way, companies will need to focus not just on recruiting but also retention—keeping local talent at home. “The outlook for West Michigan is positive and steady with some unique challenges to overcome, such as the need for skilled labor, optimizing space and lack of supply,” Grand Valley State University Paul Isely says during Colliers International’s Economic and Commercial Real Estate Forecast Event. Additionally, local colleges are working with the construction industry to provide needed education for those aspiring to enter the workforce. The training of persons in the skilled trades has shifted to the community colleges, in addition to apprenticeship programs that have been considered the traditional norm. The need to recruit and educate qualified applicants to prepare them for entry into the skilled construction trades is now more important than ever. “Constructing the future” is a new 12-part series from Rapid Growth that will explore issues facing, and related to, West Michigan’s construction industry and the numerous organizations, trends and innovations seeking to create positive advances in our community. The series is sponsored by Triangle Associates, a West Michigan-based construction company that provides construction management, design/build services, general contracting, integrated project delivery, and more to projects locally and across the country. Ken James, the editor of this series, is active in the community and committed to issues surrounding growth, development, opportunity, and access. He has been in West Michigan for 23-plus years. Ken enjoys spending time with his family while enjoying what West Michigan has to offer. Email him at KenJames384@gmail.com, or follow him on LinkedIn.